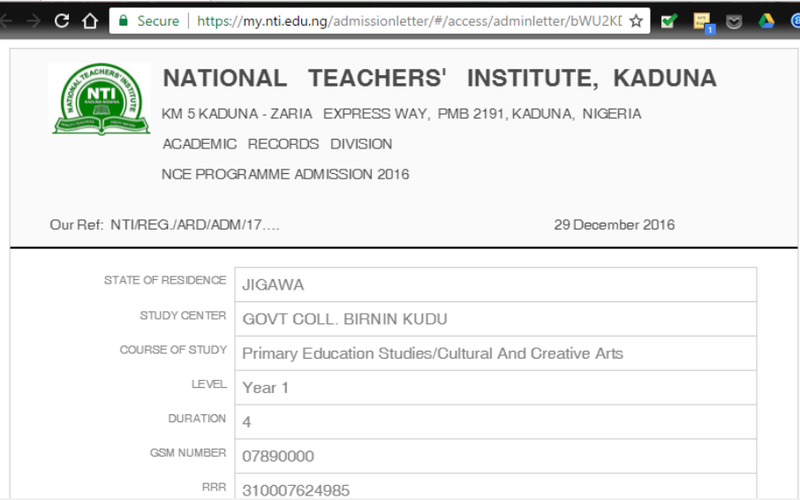 National Teachers Institute, NTI Admission List / Admission Letter Now Available Online for Download for 2018/2019 Academic Session. 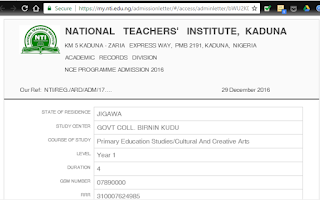 This is to inform all candidates who applied to any of the available programmes of the National Teachers Institute for the 2018/2019 academic session are hereby informed that their admission letters are now available for download. All the candidates who has successfully applied for admission into the following programmes BA/B.SC | PGDE | ADE | NCE | PTTP and have completed their registration/online applications as from September, 2018 are hereby advised to log in to their portal to check their admission status and download admission letters. Candidates who are interested to apply are advised to do so as the online application is still ongoing. Click here to begin registration. Admitted Students are to proceed with the online admission clearance and course registration/school fees payment here. NOTE: The Resumption Date/Commencement of academic activities for the 2018/2019 academic session will be announced soon.